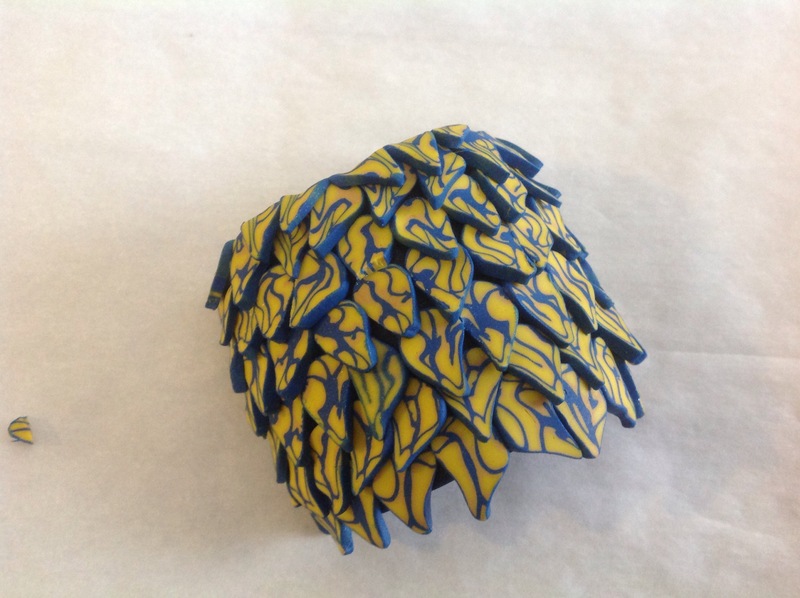 Michelle McCarthy of Firefly Design Studio has created a Facebook group for jewelry designers to use her ceramic components in design challenges. This month is the first challenge and the theme is paisley. There are two color variations of the same kit, which include: a matching pendant and bracelet bar, coordinating beads, and headpins. 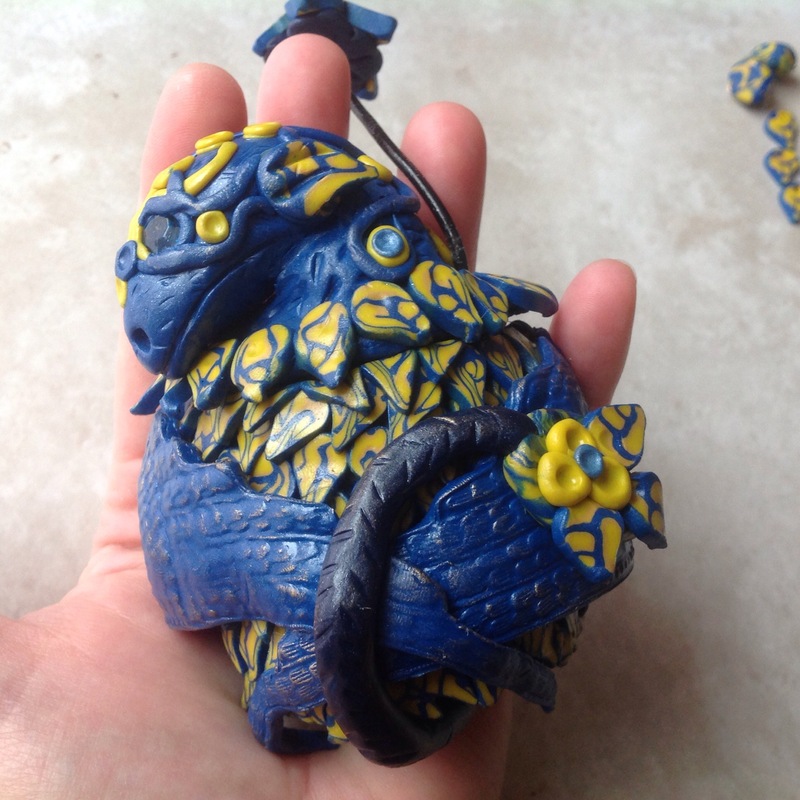 Here are Michelle’s pictures of the neutral paisley set and our secret component–a lampwork bead by Shannon Vickers (BlueBlazes Lampwork on Etsy). 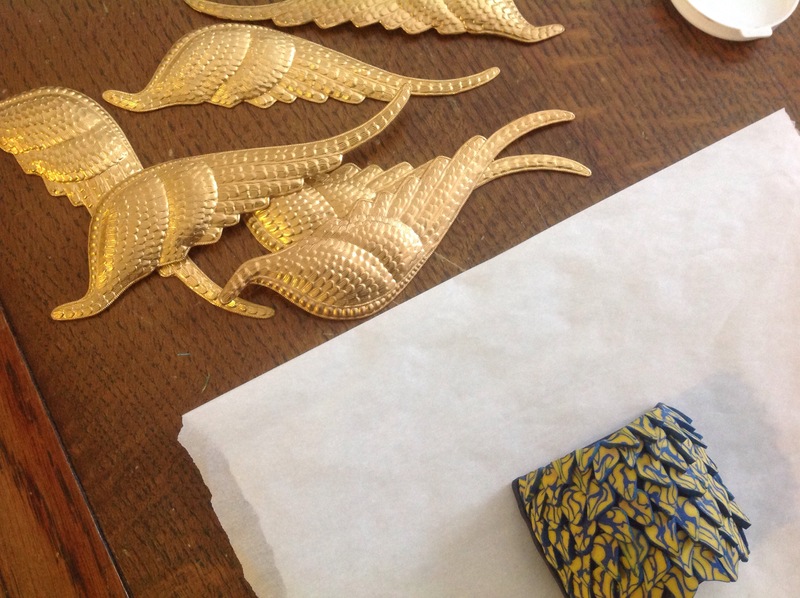 To see the Bright kit, you can follow my link today to see all the finished designs. At first, I had a difficult time choosing between the Bright and Neutral Paisley kits. I knew I wanted to add orange to the brown, turquoise, and cream color palette. I guess that is why I didn’t choose the Bright paisley set–I wasn’t sure what my contribution would be. When I discussed this color choice with some friends they got the look–you know the one–like they drank sour lemonade. I had a few doubts, but I had a vision and I really didn’t want to let people talk me out of it. 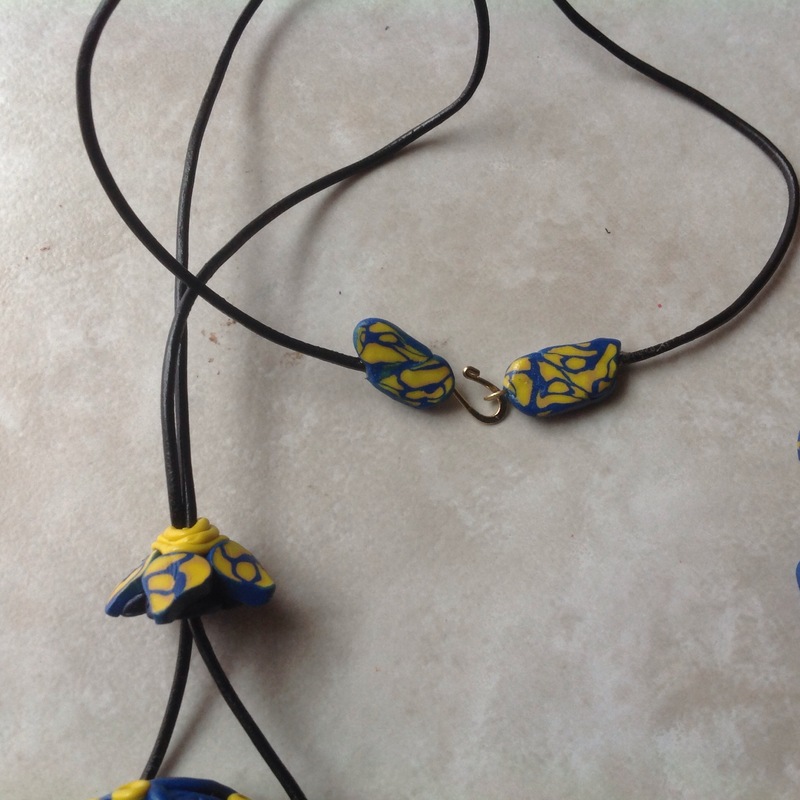 The necklace originally had two strands; I really thought it was too much, so I had a little redesign. To highlight Michelle’s ceramic components, I picked: lampwork by Kristin Louthan (Prairie Girl Glass on Etsy), Laurie Wright (www.designerbeads.com), and Valerie O’Neal; modern and vintage Czech glass; modern and vintage brass; copper wire; vintage seed beads; Thunderpolish crystal; vintage wood beads; and vintage lucite. You can see all the jewelry designs with both kits in the Facebook group: Firefly Design Studio Designer Challenge Group. 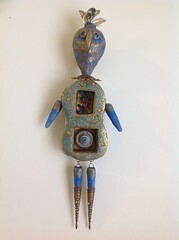 Please visit to see all the hard work these artists put into using Michelle’s components. Each artist has four pictures uploaded: one picture of the entire set we were required to make (necklace, bracelet, and earrings), and one individual picture of each piece of jewelry so you can see the details better. You can vote for your favorite by “liking” or commenting on the pictures with an artist’s entire set of three pieces. You can vote for as many as you like. When the Winter Solstice arrives, we welcome the longer days to come and feel a sense of hope. Spring is around the corner. We made it through the cold, dark days of winter and will soon be able to grow crops, animals will give birth to their young, and the Earth will be green and vibrant again. I began thinking about the symbolism and archetypes involved in this cycle. 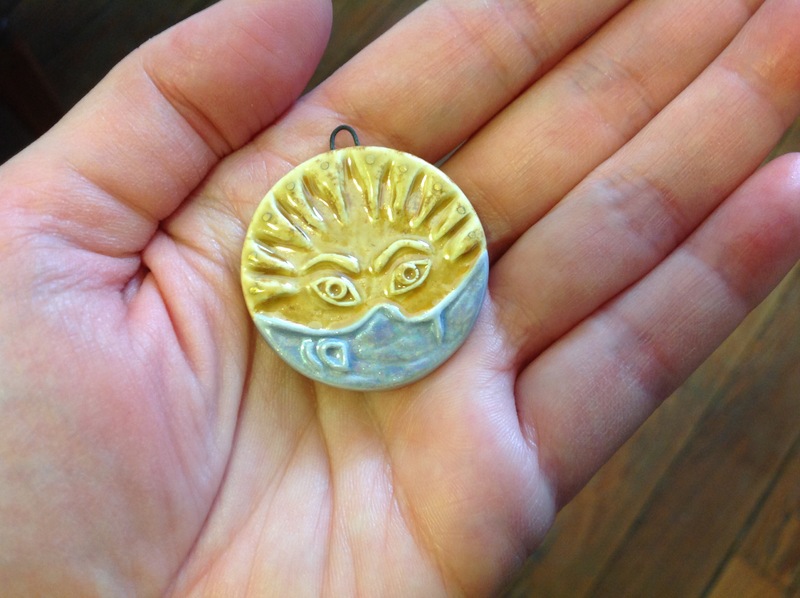 Classic symbolism can be found in Tarot cards, which have been around since the Middle Ages, so I started thinking about the Sun and Moon in this pendant by Lesley Watt (http://thegossipinggoddess.blogspot.com) and how people interpret them. Of course, if you think of those celestial bodies, you also think of Stars. Here are some thoughts I had about the traditional interpretations of what these symbols mean and the journey from the seventeenth card, to the eighteenth card, to the nineteenth card. This is when I noticed that the beads that matched the closest in person (believe it or not, the Alexandrite crackled and faceted beads on the bottom right) where NOT the beads that matched in the photograph. I had a little panic. 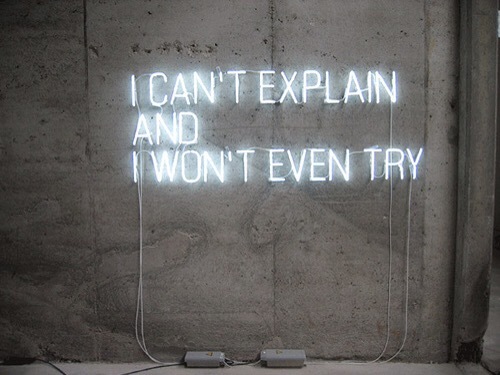 Sometimes, things said in sarcasm or jest…are a brilliant idea!!!! 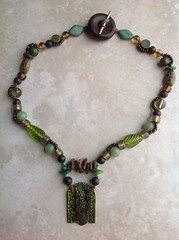 The clasp is by Lorelei Eurto (http://loreleieurtojewelry.indiemade.com); not only did the color work well, but I love bugs! The beetle is a great addition with its meanings of wisdom, protection, persistence, and adaption for survival. The beetle has a long association with the Sun. Journeys are usually circular, so on the way back around from the Sun to the Star on my necklace, I added a ladybug that sits on the back of my neck. In the Middle Ages, the ladybug was known as the Beetle of Our Lady. Ladybugs, or ladybirds if you prefer, are supposed to be lucky: they symbolize: abudance; happiness; wish-fulfillment; and death/rebirth. Their life cycle is only four weeks, so they are supposed to teach us to be fearless, living life to its fullest, and that everything has its time under the Sun. The lampwork in the necklace is by Lea Avroch (https://www.facebook.com/LeaAvrochArtGlass/), the lampwork in the earrings was made by Mallory Hoffman (https://www.etsy.com/shop/rosebud101). I also had a just in case piece, mail being what it is. This lampwork cabochon is by Sue Kennedy (http://www.suebeads.blogspot.com). I am learning to work in metal…so this is still a work in process. I melted the bezel, then broke a prong, and tube riveted it a little tight, so I don’t have the movement I want. I will welcome the Sun and work harder this year on my journey to learn metalsmith techniques. New Beginnings! The challenge for this month from the Lisa Pavelka and Katie Oskins group is an Inro. This is a group I joined to help me get motivated to learn new skills this year. It’s free and it’s never too late if you want to participate. This project involved a very small amount of cane, which sent me into a panic. I have managed to avoid canework in the past quite successfully, and I was probably going to go along and tell myself, quite happily, that it was okay because “that’s not my thing.” Except, then I saw this tutorial by Mihaela Georgescu and I had to call myself a liar. The beauty in this tutorial is it doesn’t have to be perfect–it’s quite matter of fact about squishing clay together with no panic about the end product. It looks how it looks and that’s beautiful. So, that was my impetus. I had been thinking about colors all month. 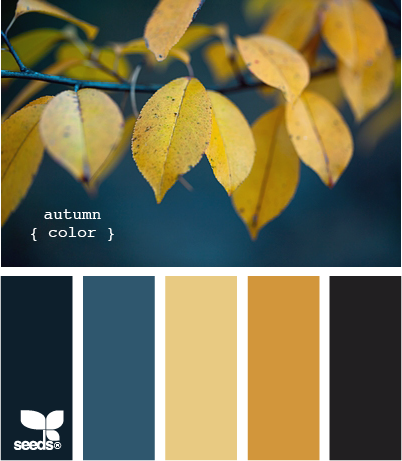 I did a little poll on my Windbent page to help me with color choices and my tribe picked this color palette. Then, I made my first cane. Just that fast, a dragon was born. I didn’t let a little thing like never having made an Inro or dragon phase me; I had made cane after all, so I was obviously awesome…although, I really wish I had this Christi Friesen book. Sadly, it’s out of print and unaffordable. What I should have remembered was Katie Oskins makes fabulous dragons, but I didn’t so I had to muddle through on my own. Face palm. One day I will learn not to make my life harder than it has to be. The Lisa Pavelka tutorial is what I used for the construction of the Inro. 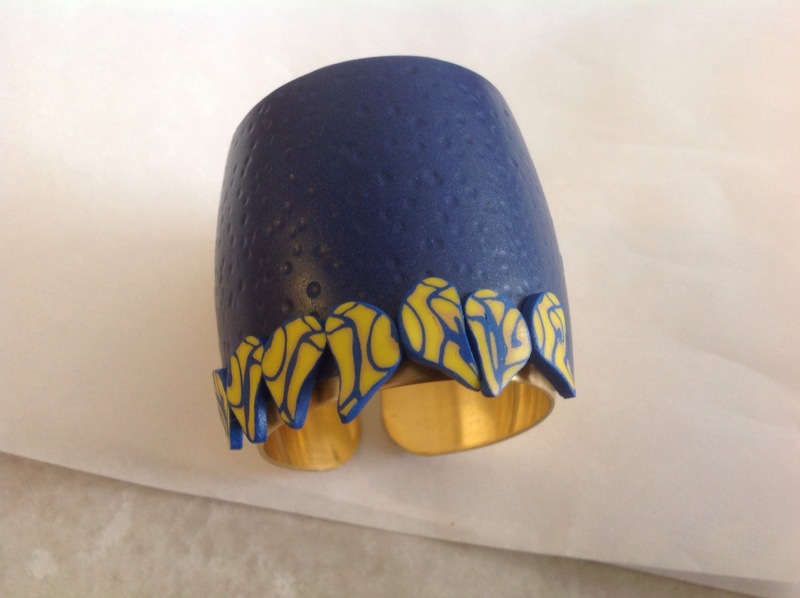 It calls for you to use a small metal bottle to bake the first piece on and I didn’t have one so I used a brass bracelet blank from B’Sue Boutiques that I bent to be as small as possible. I then covered it with my cane and baked it. Because I did not use Lisa’s design, the baking instructions were a little hard to figure out. I don’t think I baked it long enough, so I had some breakage that I had to repair on the next baking. Next, came the lid, which was the most difficult for me. Because I had left scale fringe on the bottom of my box, I couldn’t stand it up to work on to get the top to line up properly. I also had forgotten to poke holes in the bottom before baking, so I made sure to put holes in the top and then line them up with the bottom as best I could when it came out of the oven and marked the bottom for drilling. These are for the cord. My scales also made the top uneven. I do wish I had leveled it before baking, but I didn’t, so I had to make the top fit the bottom no matter what. This is where I made my other tactical error. 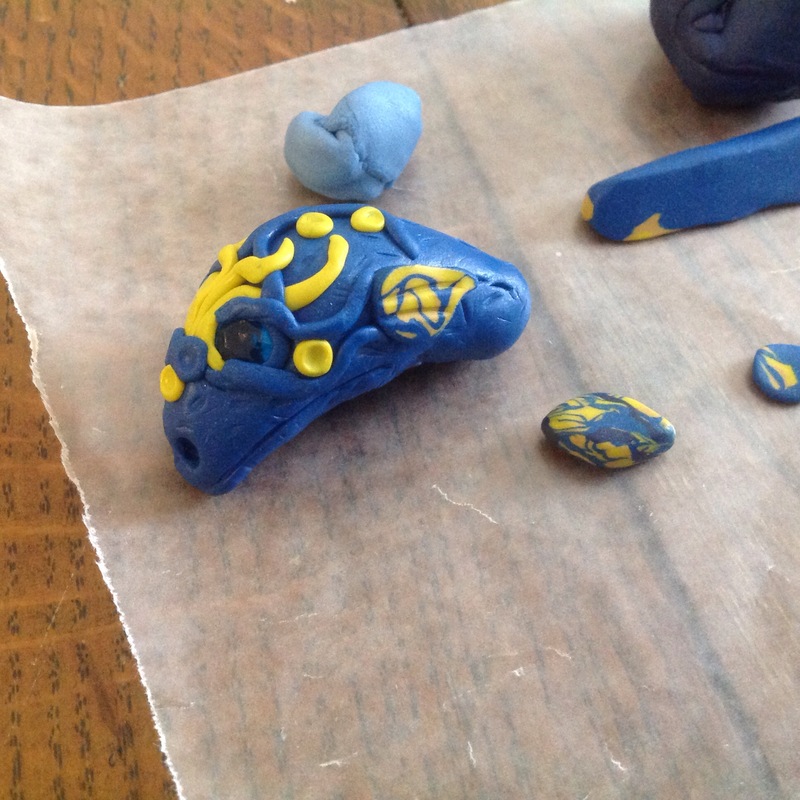 Having never made a dragon head before, I started to play. Only then, I liked it. The problem was then squishing it onto the top so I could mark the holes again and bake it. I smooshed a fair amount of my dragon details in the process and had to redo a lot. I would recommend only doing the shape of whatever you want first and adding the details later. Yes, sigh, this should have been obvious. At this point, I started thinking about wings. B’Sue Boutiques also has some really cool wings in every size and shape. I used these as molds. I also started work on my clasp. 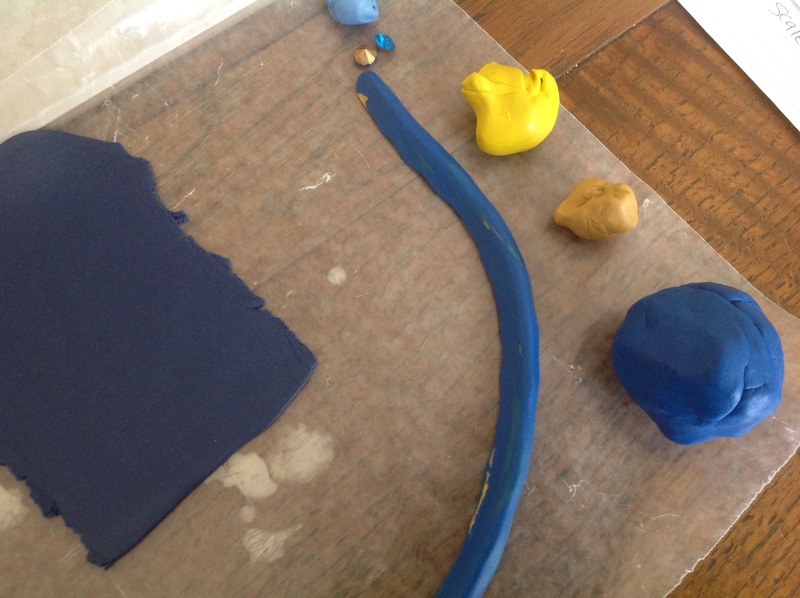 I baked a cord end and a clasp into the clay. 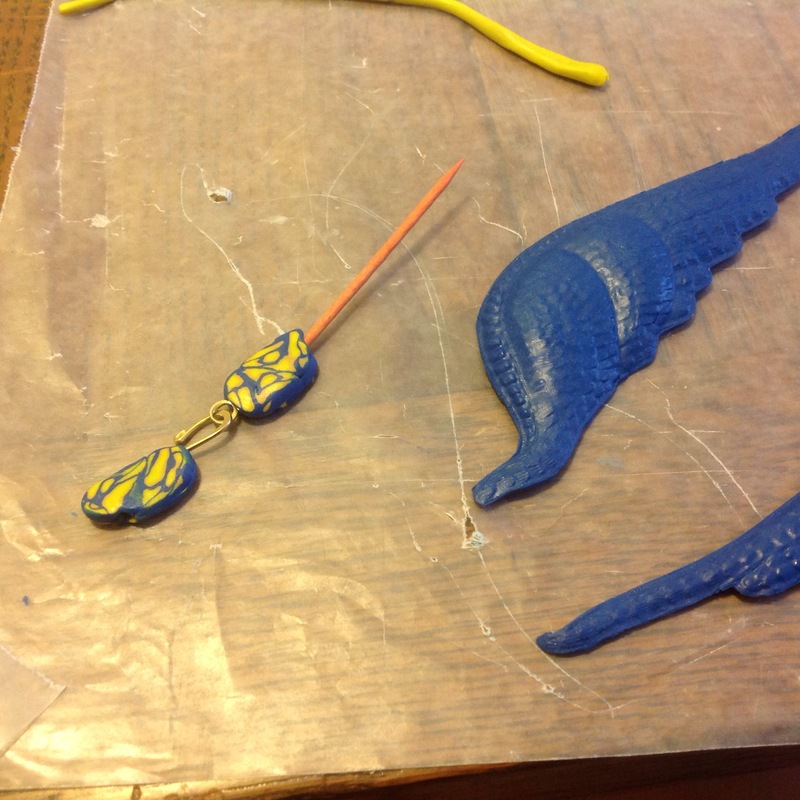 Then, I decided to make some earrings, so I baked some of my cane and used the cut offs from scales to make the posts. I then made a little piece that goes on the cord. 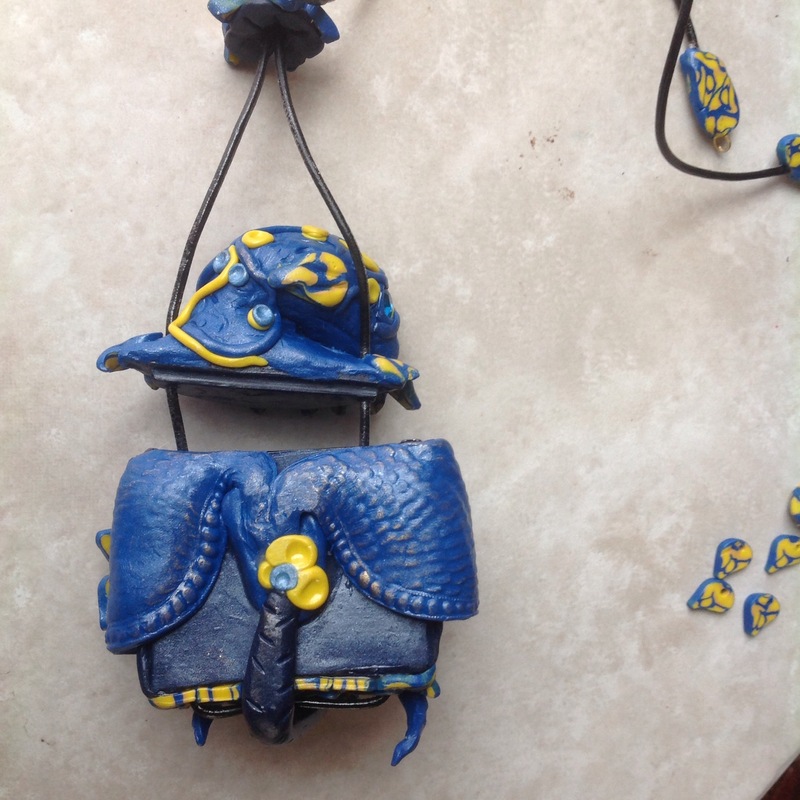 My final tactical error was that in baking on the wings, and since I couldn’t stand it up with the design I used, the back got a little flat and the weight smooshed in the box a little, making the lid harder to fit on. So, this is my very first: cane, Inro, and dragon. I made some mistakes, but overall it is something that won’t (hopefully) intimidate me again. I don’t think this is actually encouraged by the BBC. Here are some ideas I sketched out. I was going to stamp metal originally, but my friend said she would etch me some things. Unfortunately, my package got lost in the mail. Then, I ran out of time and went out of town. (Note to self: do not sign up for Blog Hops when you will be out of town.) It did force me to rethink some things. I think my design would have been too pretty. 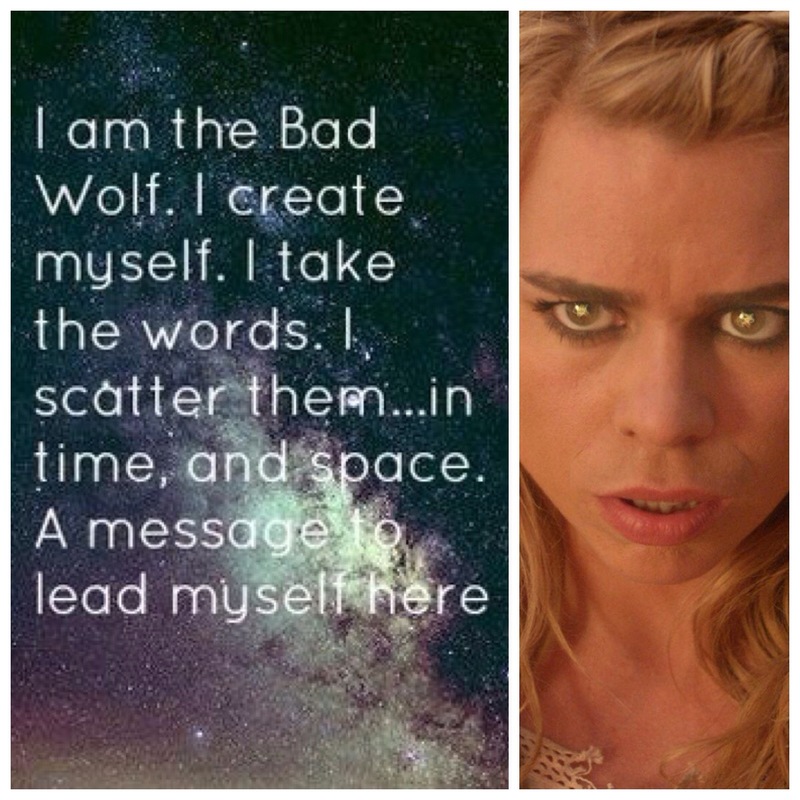 I really wanted an industrial, graffiti look combined with the idea of (Rose) the beauty of Billie Piper. I made several roses and didn’t like them. I didn’t like the wolf head. 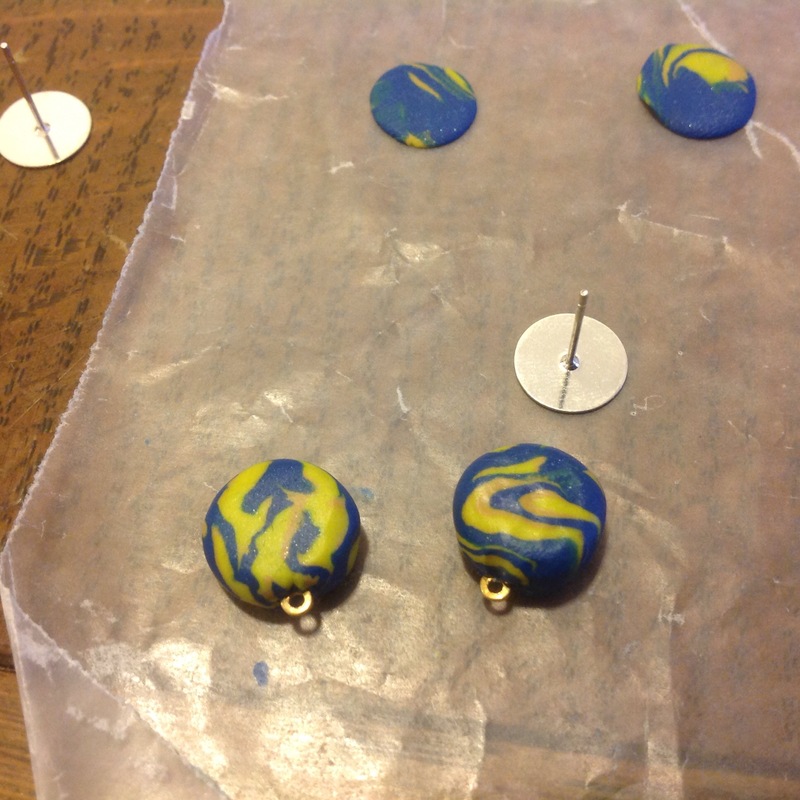 I was going to try polymer clay…and I didn’t like that either. 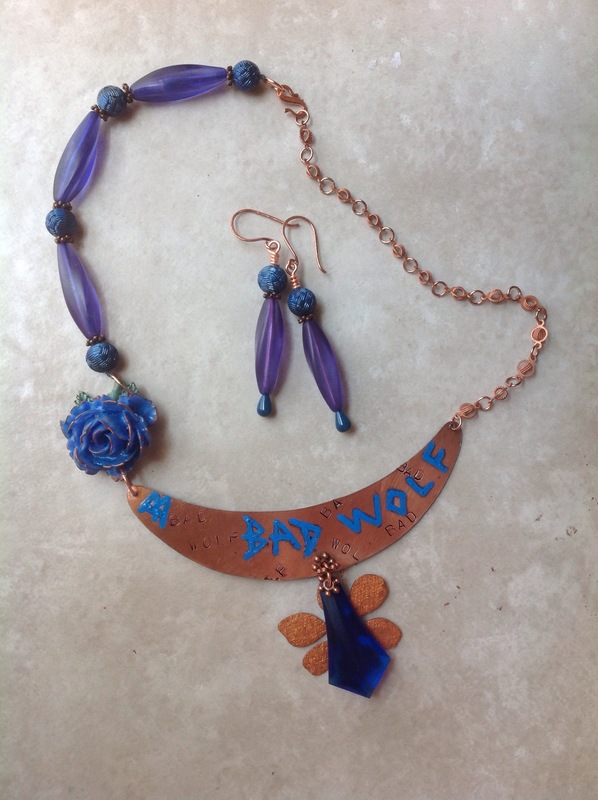 I then looked at images and other Dr Who jewelry…and was not too happy. 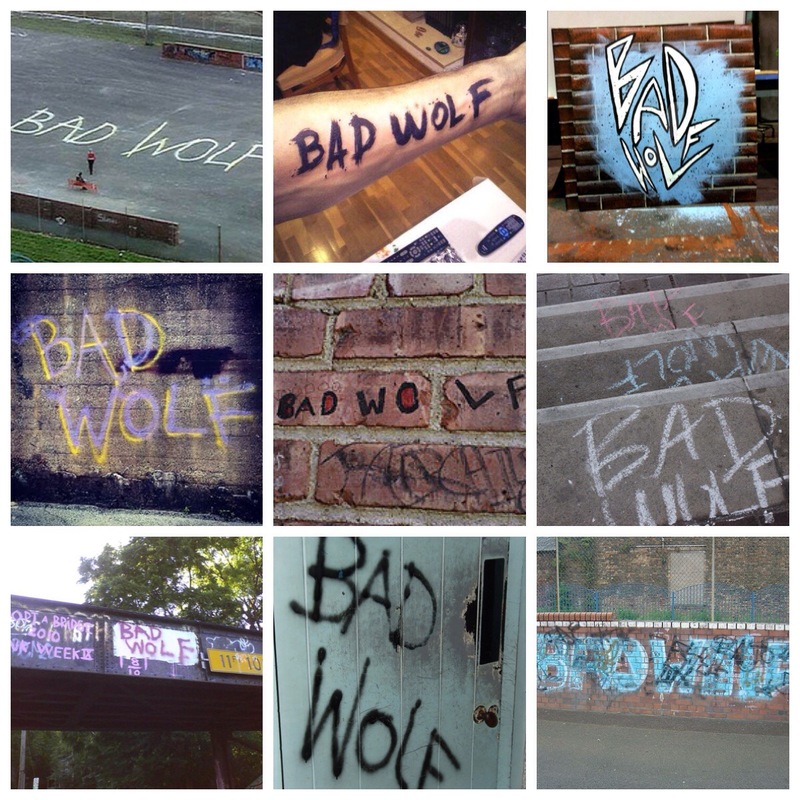 There is some out there and the rose idea and bad wolf idea has been done. At this point, the phrase came to mind from the Rifleman’s Creed, “there are many like it, but this one is mine.” Ooh Rah. I was committed to the course and already late to the party. I then: stamped it; waxed it; melted it; painted it; scratched it with a wire brush, a diamond file and steel wool; drilled it; heated it…no really…it was epic. 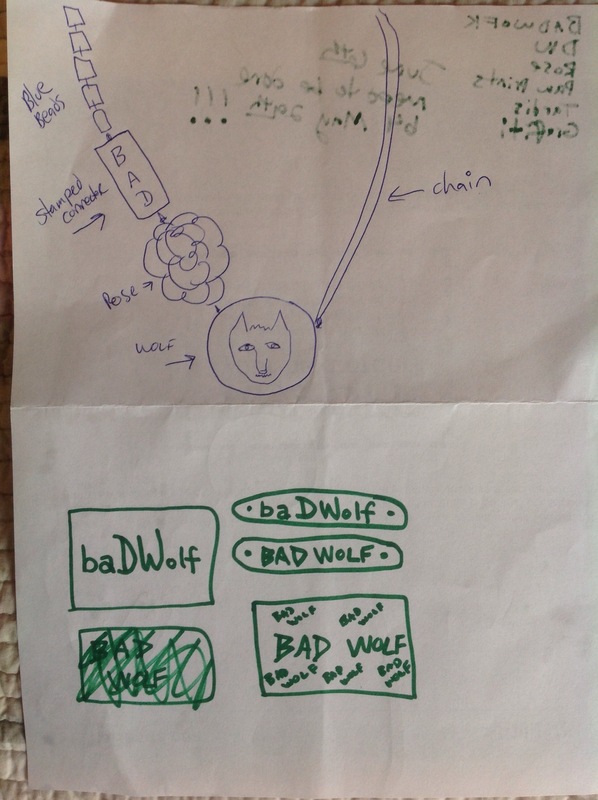 I do like that the little connectors I made chain with look like something from space. So there you have it. For good or ill. If you haven’t already, please take a look at the other blog participants. Each person choose a different TV show to design for. Thank you for looking. 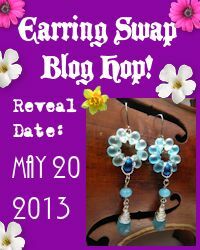 Today is the reveal for the Spring Awakening Challenge where I used beads purchased from Andrew Thornton of Allegory Gallery. 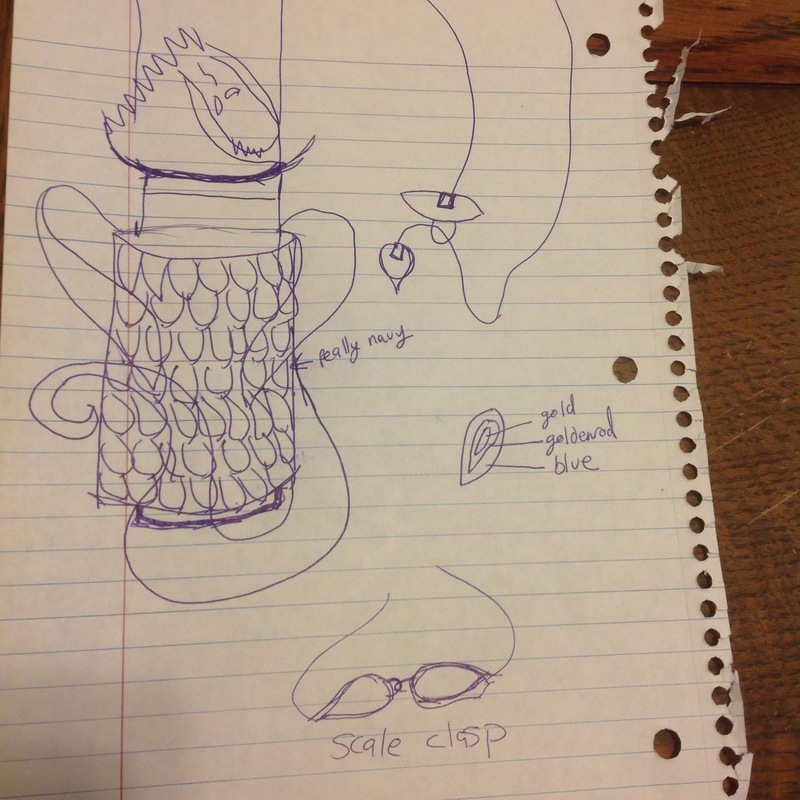 Here is what was in the kit and the handmade component Andrew made. Yes, I did actually sort through it really well; I like to know when I can be symmetrical and when I can’t. These are really my colors, so it is strange that I have a hard time coming up with ideas for these. Luckily, I didn’t have to look far for inspiration. Included in the box, was a lovely postcard advertising the Gallery’s current exhibition featuring a painting by Cynthia Thornton called “Mama Mermaid.” The whole earth awakens in Spring. I grabbed a few oceanic, tropical things before I remembered one of the first pieces I ever made. It was actually the second piece of metal I painted; I was so intent on the focal, that I just put it on a chain, so a redo was in order. I didn’t change the earrings, since I like the sea glass and vintage glass together, but I reworked the look of the necklace. I haven’t used waxed linen before. Oh, I have it here laying around, but it’s sticky! Since it came in the kit, I really wanted to challenge myself to work with it. Since the necklace wasn’t falling apart, I was confident enough to try earrings. While it’s fun to experiment, these are not really what I consider my style. My style is still evolving, but these are not something I would normally make. 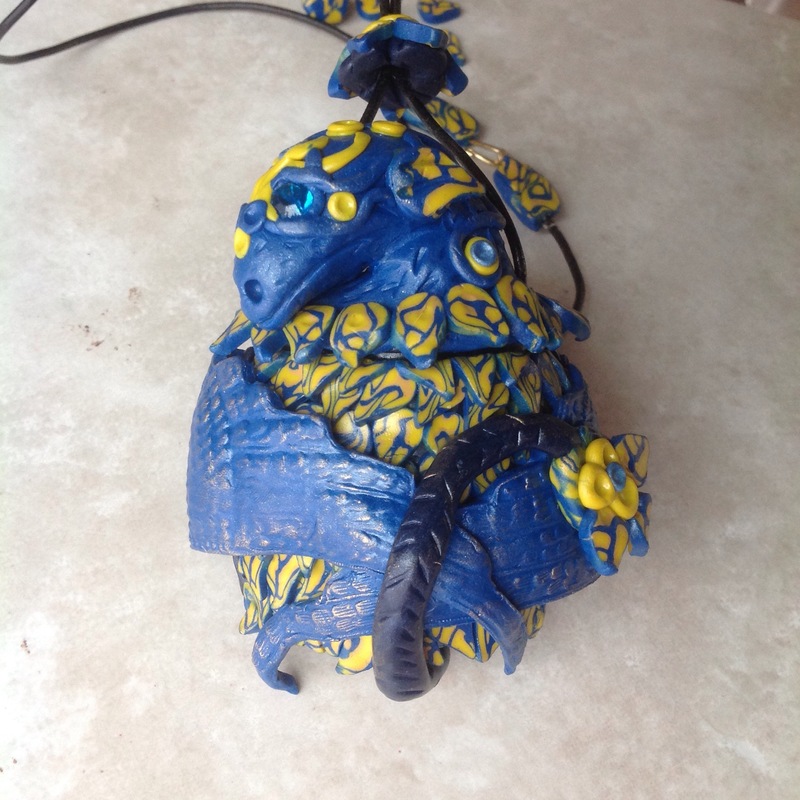 With that thought in mind, I tackled Andrew’s polymer clay pendant. How could I still use the waxed linen, but be more me? I’m pleased with the way the bracelet turned out. This is totally something I would make, just with some new texture. Now, this is where I got ambitious. I love art dolls and spirt dolls…but I have never made one. I blame the beads–they screamed to me and I answered. Many times, I have a very clear vision of what I want, and often sketch it out, but I may not always know how to do what I want to do. Skill level is one of the things I am trying hard to work on this year, so I have stopped selling and devoted myself to classes. The mini broom, I got at a charity shop, and the beaded flowers my friend Kelli Nelson sent to me that were on my workbench. Andrea sent me the branches and also in the mail that day, was a doll head I had purchased. Bam! 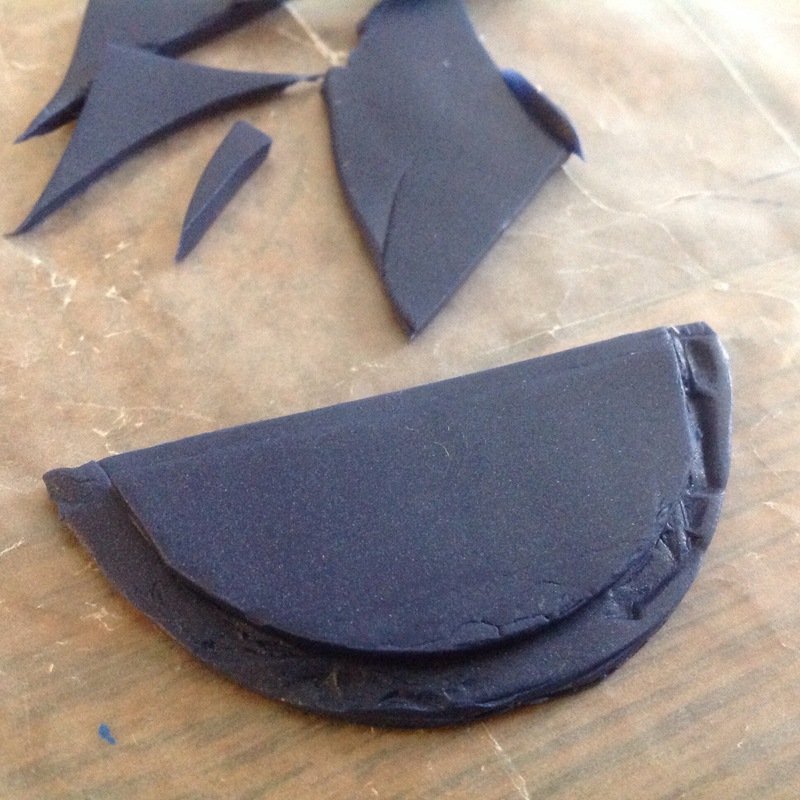 I made a mold of the face and everything flowed from there. Her face is polymer clay. I have a load of recycled upholstery fabric and wallpaper that I like to use, so I grabbed what I though would work well with the beads. Silk sari ribbon is a favorite, so I had to have that! I love resin, so I used the resin to adhere the branches to the broom and while it was still wet, coated the drops with mica powders–hopefully you can see little glints of color. I love wire so I knew that would be incorporated. The final idea of a “crown” came together while visiting a bead shop/glass and mosaic supply shop in Harrisonburg, VA and found these great ceramic tile leaves. I hope you like her as much as I do! She hasn’t told me her name yet, so if you have any suggestions, let me know! 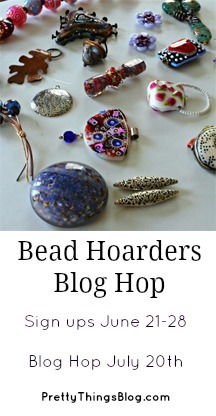 This blog hop is small so please take the time to visit and see what the other participants have made. Thank you so much for looking.